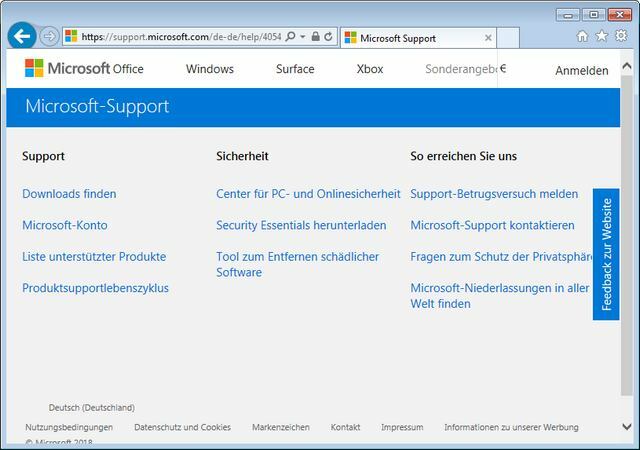 I can’t read any more KB articles on “support.microsoft.com” . As an example, in case of clicking “More information” hyperlink from Windows Update Update History, the IE page is loaded. But the usual rotating circle does not appear and the article part is not loaded – end! Do I need to register now? Doesn’t work with IE11 anymore? 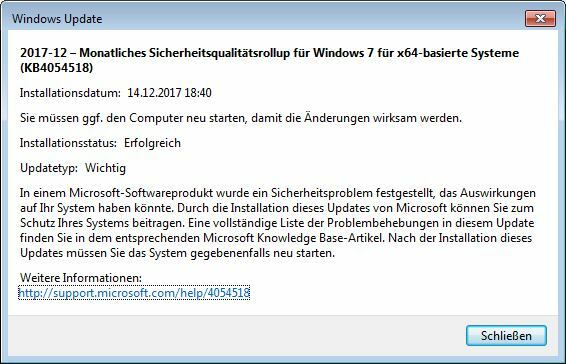 Does Windows 7 no longer work? Also, emulating another IE browser version does not help within IE11, does anyone have similar problems? I’m not sure if the problem is homemade…. I tested it briefly here. Since I am currently using the Slimjet as my default browser under Windows 7, the KB articles were displayed as expected. Then I copied the URL to Internet Explorer 11 and also got my KB article shown. What exactly is it about? For readers who are not quite fit, a short summary of what the blog reader told me within his e-mail. 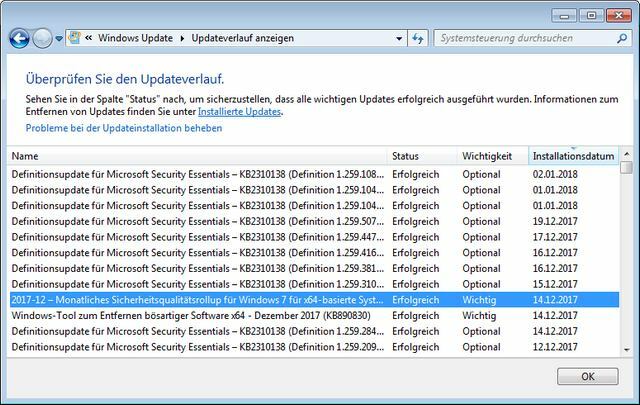 If you go via the search in the taskbar or via control panel to Windows Update, you can view the update history via a hyperlink (see above picture). If you then click on one of the entries, you will get a detail view. I copied the URL into IE 11 and got the same KB page. From this point on, it was clear that it’s an issue on the user’s system or within IE settings. Why IE doesn’t display that kb articles anymore? This night I received a second e-mail from blog reader Jens Uwe T. with further details (thanks to the blog reader for this information). I adjusted the IE 11 settings and suddenly my Internet Explorer wasn’t able to display the kb articles. acquisition of telemetry data. 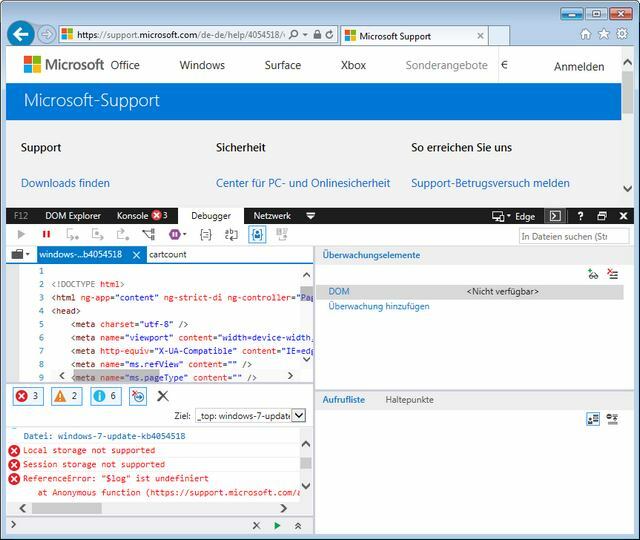 It’s now mandatory for the site “support.microsoft.com” to set internet option to Activate DOM storage. Then it works again (it worked on for years without) – “no” option to add Microsoft to the “Trusted Site” ..
I’ve set my IE to accept first party cookies, otherwise most web sites won’t work. But I thought, I’ve disabled DOM storage in IE for privacy reason (I recommend that within my books). Therefore I launched Internet Explorer 11, then I opened the Tools menu and selected the command Internet options. Then I went to the registry tab Advanced and checked the option Enable DOM Storage. Exactly the IE11 DOM storage error when accessing Microsoft pages described by the blog reader mentioned above. I can’t say if there has been any change in the numerous cumulative updates for the IE. But Microsoft is definitively changing it’s web content. For blog readers who are not into this matter, here is a short explanation. Many people don’t want to have cookies stores within the browser due to privacy reasons. I block cookies from third parties in IE 11, I allow cookies from first parties, because otherwise neither online account login nor shopping cart of web shops etc. will work. But in addition to cookies, there are also super cookies – for example for Flash. 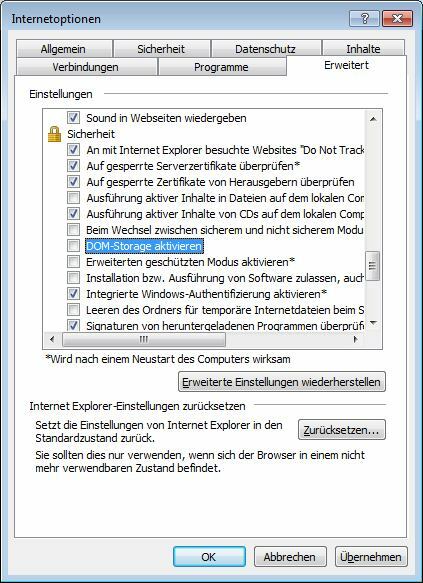 And there is DOM storage object, located on the clients disk, where web pages can store a lot of information. I recommend to deactivate this memory. It worked for years without DOM Storage – and now there is no option, you could declare DOM Storage only for “Trusted Site” – the option is enabled for all web site. Do you have other insights or comments? Internet Explorer 11 crashes after installing updates? This entry was posted in Security, Update, Windows and tagged Internet Explorer 11, Security, Updates, Windows. Bookmark the permalink. Yep, the all above concerning this odd and pretty much annoying issue is correct unfortunately. 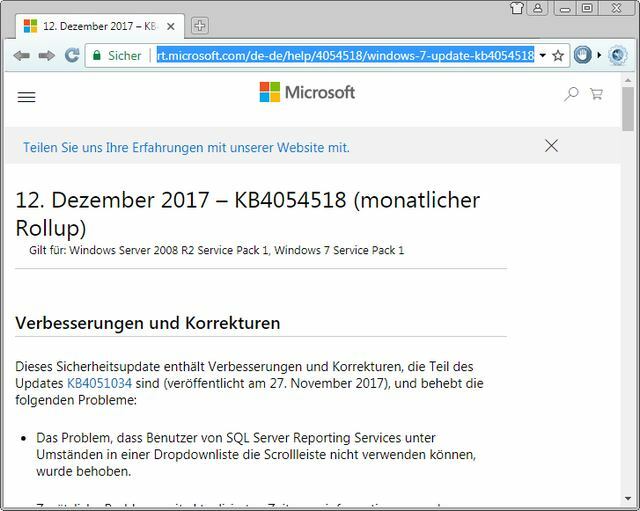 I occasionally found this unavailability to see m$ KBs web pages in IE11 correctly in some December of 2017 and it affects 2 of 3 of my win7 PCs around. The oddest part of this issue is that all these 3 win7 machines are literally almost equal in meaning of win7 status – updates installed, settings etc. And of course all IE11 settings are default plus 1st & 3rd parties cookies enabled along with session cookies and DOM Storage. 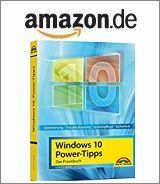 to enable IE11-InPrivate as win7 default browser. For me it’s a good compromise solution although any other ideas on how to resolve this issue are very much welcomed and highly appreciated!